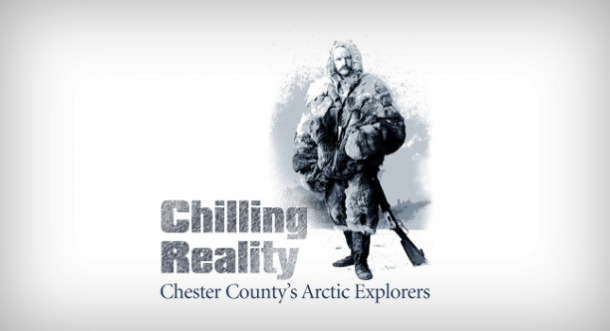 Social Media and Marketing Consultation for Chester County Historical Society’s Chilling Reality, an exhibition which explores how the Arctic once defined America, and how this heritage continues to shape our environmental future. What do huge wooden ships, jagged icebergs, fierce polar bears, and the native Inuit of Greenland have to do with Southeastern Pennsylvania? Buried deep in the Chester County Historical Society’s library, archives, and museum collections are clues to a forgotten past. Now, for the first time ever, those artifacts, documents, and books will be displayed together to tell the story - the Chilling Reality of Chester County’s Arctic Explorers. October 2010 – June 2011, Chester County Historical Society presents Chilling Reality, an exhibition which uncovers the deep connections that four Chester Countians – Isaac Isreal Hayes, Amos Bonsall, Samuel Entrikin, and Harry Whitney — had with the Arctic. Their artifacts and the stories that go with them bridge this lost past to our current reality. Discover how the Arctic once defined America, and how this heritage continues to shape our environmental future. Delve into Chester County’s Arctic collection online at ChillingReality.org. Follow the blog discussion to learn more about these historical artifacts from experts including exhibition guest curator, Rob Lukens. Participate in the discussions to bring the past into the present as we consider how explorations of a century ago have shaped our knowledge of the Arctic today. The Chester County Historical Society (CCHS) connects the faces, places, objects and events that have shaped our region and influenced a nation. This project was financed in part by a grant from the Commonwealth of Pennsylvania, Department of Community and Economic Development and in part by a grant from The Pew Center for Arts & Heritage through the Heritage Philadelphia Program. Chester County Historical Society (CCHS) is a nonprofit educational institution that promotes an understanding of the history of Chester County and southeastern Pennsylvania, connecting the faces, places, objects and events that have shaped our region and influenced a nation. Located in downtown West Chester, The History Center is home to a museum which presents permanent and changing exhibits, an extensive library and photo archives, and an interactive History Lab. The Chester County Archives, which CCHS jointly administers with the County of Chester, is located in the Chester County Government Services Center.